While Wallis Simpson's presence threatened to bring down the monarchy, Meghan Markle is seen as a figure who can revitalise it in the 21st century. London: Meghan Markle enters the British royal family in drastically different circumstances from the last American to join: Wallis Simpson, a name that still sends shivers through Buckingham Palace. Although both US divorcees, the times have changed so dramatically that while Simpson's presence threatened to bring down the monarchy, Markle is seen as a figure who can revitalise it in the 21st century. King Edward VIII was forced to abdicate in 1936 within months of acceding to the throne in order to marry Simpson -- a seismic event that rocked national stability in the years before World War II. King Edward VIII was forced to abdicate in 1936 within months of acceding to the throne to marry Simpson. And the shadow of 1936 will be impossible to ignore when Markle and Harry tie the knot on May 19. The wedding will take place in St. George's Chapel at Windsor Castle, west of London -- the very same church where Wallis's funeral was held in 1986. The duchess of Windsor, as she became, is buried next to her husband a 10-minute walk away in the Royal Burial Ground outside Frogmore House, where the newlyweds' evening reception will be held. "Listen very carefully at the choir's singing as Meghan Markle walks down the aisle," said royal writer Andrew Morton, for the faint sound of the nearby king Edward "spinning in his grave". The monarch had to give up the throne to marry a US divorcee -- now one is welcomed into the royal family with open arms, he noted. Morton, who has penned biographies of both Wallis and Markle this year, contrasted the twice-divorced Baltimore socialite to the mixed-race Los Angeles television actress. "Wallis's family were slave owners as opposed to slaves themselves," Morton told AFP, referring to Markle's mother's ancestors. Edward and Wallis "would have been astonished at the transformation in the British monarchy over the last 80 years," he said. Wallis's grip over Edward chilled the royal family. She was deemed politically, religiously, socially and morally unacceptable as a potential queen. Had Edward married against prime ministerial advice, the British government would have been forced to resign, triggering a crisis. 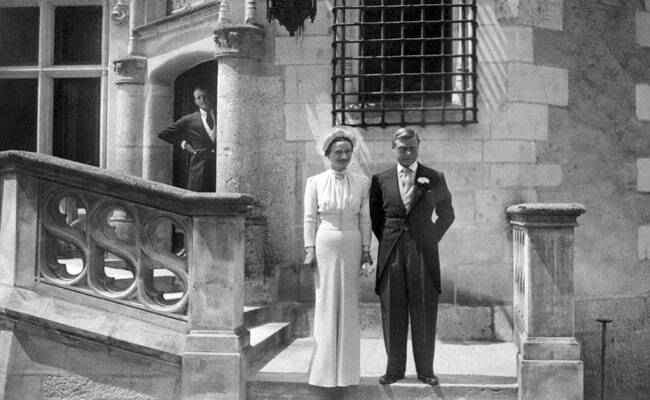 Edward stepped down and the couple married in a French chateau in 1937. Their high-profile visit to Nazi Germany's dictator Adolf Hitler that year caused great alarm and suggestions that the couple were Nazi sympathisers. Their life in exile on the outskirts of Paris saw them essentially living in retirement, entertained by wealthy friends. 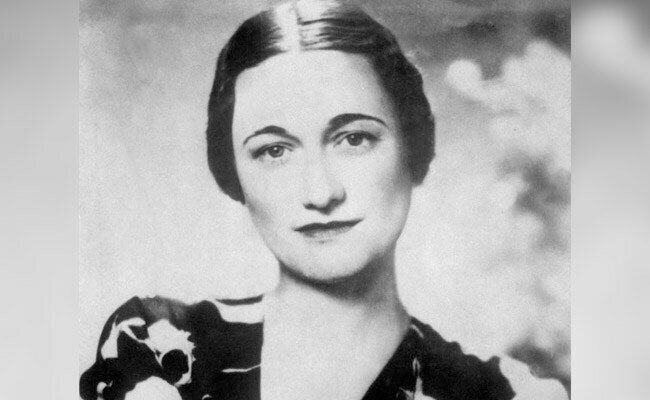 Wallis Simpson was deemed politically, religiously, socially and morally unacceptable as potential queen. However, the ice never fully thawed with the royal family, with contact and trips to Britain rare events. The monarchy's response to Edward's abdication helped mould it into an institution that Markle, an earnest embracer of public service, is well placed to join. Edward putting himself before his country was seen as a selfish and irresponsible dereliction of duty. His successor, his brother king George VI, sought to make the monarchy the exact opposite -- a duty-first mindset continued by his daughter Queen Elizabeth II, now 92, for whom abdication remains a dirty word. Aged 36, Markle has strong public service credentials, having been United Nations advocate for women's empowerment and a global ambassador for the World Vision Canada relief agency. "She could have been a diplomat; a politician; a lawyer," said Morton. "Meghan is certainly ready for the royal family: she's proved herself." Markle and Wallis are two bookends to an era of change in both the Windsor dynasty and British society, which is now multi-racial, less tied to Anglican church morality, and where four in 10 marriages end in divorce. By the turn of the century, the queen's three eldest children had divorced. Harry's father Prince Charles, the heir to the throne, married his second wife Camilla in 2005. She too was divorced. Their civil marriage was blessed in St. George's Chapel. The aristocracy, too, is less snobbish towards Americans and marriage outside their own ranks. "The seismic change in social attitudes over the past decades has been mirrored in the way the announcement of Harry's engagement to Meghan, an American divorcee, was met with such enthusiasm," royal commentator Richard Fitzwilliams told the Daily Express newspaper. Wallis being American was not popular in the 1930s, while Markle marrying Harry is being seen as the "ultimate manifestation of the 'special relationship'" between Britain and the United States, he said.